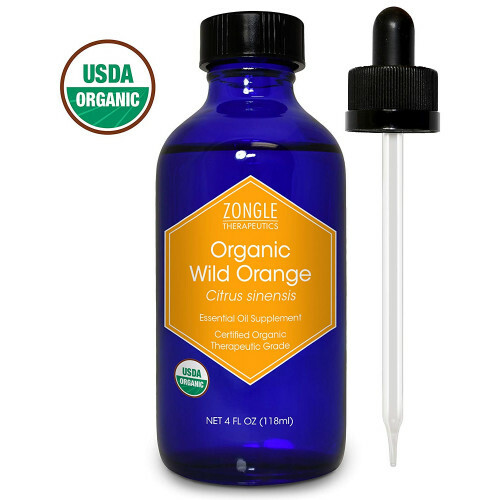 USDA CERTIFIED ORGANIC Wild Orange Essential Oil: ETHICALLY PRODUCED using methods that integrate cultural, biological, and mechanical practices that foster cycling of resources, promote ecological balance, and conserve biodiversity. NATURALLY PRODUCED without using pesticides, synthetic fertilizers, sewage sludge, irradiation, or genetic engineering. COLD PRESSED. Large 4 Oz Bottle and Premium Quality Glass Dropper. SAFE FOR INGESTION - Our Organic oils are Pure Therapeutic Grade Essential Oil Supplements. Premium Quality Organic Wild Orange Oil, Tested and Bottled in USA. 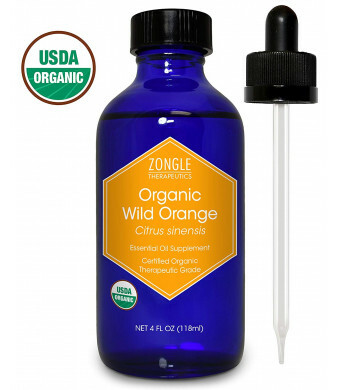 Organic Wild Orange Essential Oil has become Zongle Therapeutics favorite therapeutic grade essential oil.PureWild Orange essential oil is energizing and has an uplifting aroma. Wild Orange oil has multiple health benefits. Pure Wild Orange oil supports healthy immune system function because of its high levels of monoterpenes and antioxidants. Also known as Orange essential oil or simply Orange oil. Mix Wild Orange oil with water in a spray bottle to purify and cleanse surfaces. To add a burst of flavor and promote overall health, add a drop of Wild Orange essential oil to water and drink daily. Diffuse Wild Orange oil to freshen the air, boost energy levels and uplift mood. Place one to two drops each of Wild Orange essential oil, Peppermint oil and Frankincense oil in palm of hand and inhale deeply for an energizing boost.